A multi textured cardigan with a matching beanie. 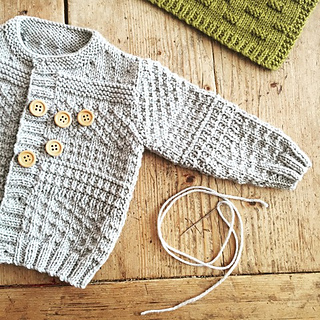 Easy knit and purl textured patterns make up this sweet cardigan and beanie. 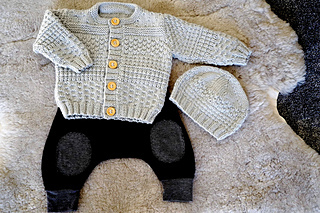 Options to knit for a girl or a boy.